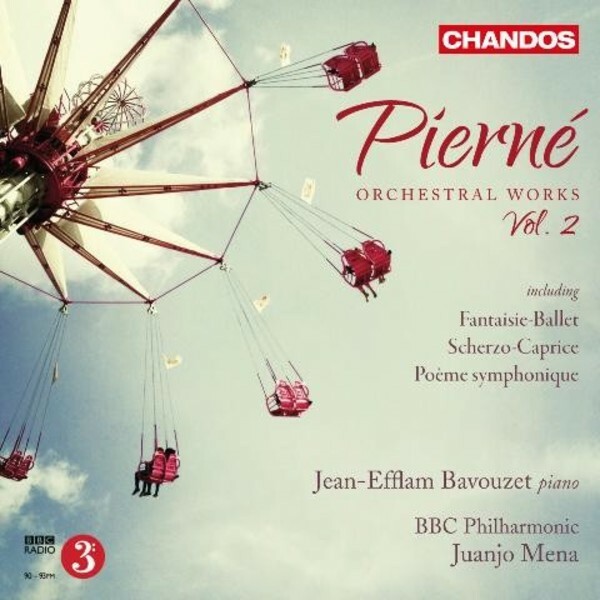 This is the eagerly awaited second volume of orchestral works by Pierné, played by the BBC Philharmonic under Juanjo Mena and featuring Jean-Efflam Bavouzet. The first volume, released five years ago, was 'a delectable aperitif' (American Record Review). More successful than his older rival Debussy in the early twentieth century, the composer Pierné deserves to be better known nowadays. This recording features some of his most virtuosic and yet mysterious pieces, placing him at the frontier between romantic (Liszt, Saint-Saëns, Franck) and contemporary impressionist (Ravel, Debussy) influences. Jean-Efflam Bavouzet, who is often praised for his expressive power and fine technique, here takes on the challenge of bringing such gems as the Fantaisie-Ballet or Poème Symphonique to much-deserved fame. Cathédrales and Paysages franciscains are later works (1915 and 1919 respectively), and while the former evokes scenes of devastation from WWI, the latter offers more airy and impressionist music with obvious signs of 'modern' influences.